Following the passing of legislation amending the Parliament of Canada Act on June 22, 2017, Board of Internal Economy meetings are now open to the public and are also available through ParlVU, our webcasting service, live and on-demand. No upcoming meeting is scheduled at this time. BOIE meetings are open to the public by default. However, on occasion, a portion of a meeting may be held in camera. If you wish to attend a meeting, please allow approximately 15 minutes to pass through security screening conducted at building entrances and take note that photo identification will be needed. 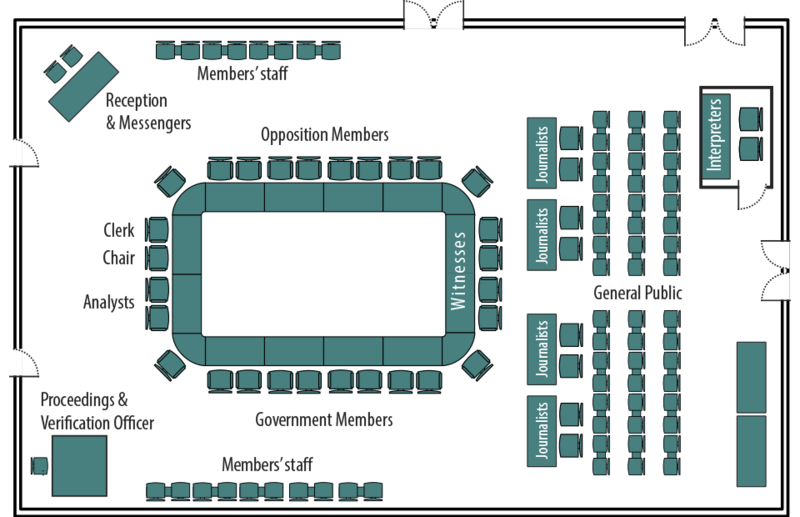 Committee room locations can be found by selecting the link below. The House of Commons is committed to the highest levels of transparency and accountability. See the following reports to get insight into what the House is presenting. Follow us on Social Media where you will find the latest House Administration news, including the Board of Internal Economy. Visit the House of Commons Newsroom for non-partisan media products issued by the House of Commons.